According to a new study, many Canadians are using their RRSPs as a source of cash instead of growing savings for retirement. “Taking money from your retirement savings to pay for short term expenses should only be as a last resort. 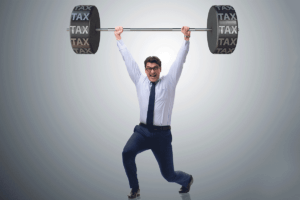 Not only are you depleting your necessary savings, you will most likely incur a sizeable tax hit in doing so. It’s best to examine other options first,” says Jeff Schwartz, executive director, Consolidated Credit Counseling Services of Canada. RRSPs work on a tax deferral premise. The Government is trying to encourage you to save by giving you a tax credit today on your contribution and then deferring the withdrawal tax until you take the money out, ideally when you are retired. Generally speaking, you are in a lower tax bracket when you retire, so you’d pay less tax. The problem is when people withdraw during their peak earning years. They end up getting taxed at higher rates, so less money ends up in their pockets. There are some RRSP withdrawals that are helpful to your overall financial picture, because they help reduce your debt to fund your home purchase or your education: the First Time Home Buyer Plan and the Life Long Learning Plan. In both of these cases, you are making withdrawals tax-free under the condition that you will repay it back over time. In essence, you’ve already kick-started your savings strategy when you make that withdrawal. While it is great to have savings accumulated for your retirement, you also need to have cash (or cash equivalent) savings on hand that you can get to in a hurry. 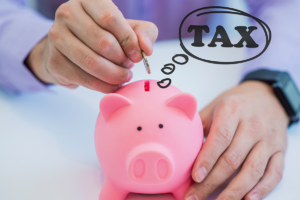 In the event of emergency expenses, you can rely on the cash you’ve got in your regular savings, which you can access without the tax implications like you would have withdrawing from your RRSP. It’s tempting to cash in your RRSPs to pay down debt, especially if that debt involves high interest. But there are other ways to reduce your debt load. 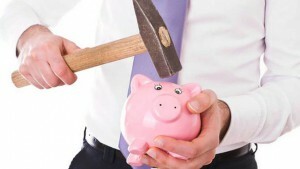 “Consider consolidating your debts to pay them down more quickly. Set up a solid monthly budget that will let you pay down those debts, accumulate RRSP and emergency savings. It will also determine how best to live within your means, so that you don’t need to rely on long-term retirement savings to pay for short term living expenses,” says Schwartz. Do you have to turn to your RRSP savings because your debt load is unmanageable? Rather than dipping into your retirement savings, consider setting up a plan to pay down that debt with your available cash today. Call us at 1-888-294-3130 or click on our online debt analysis.